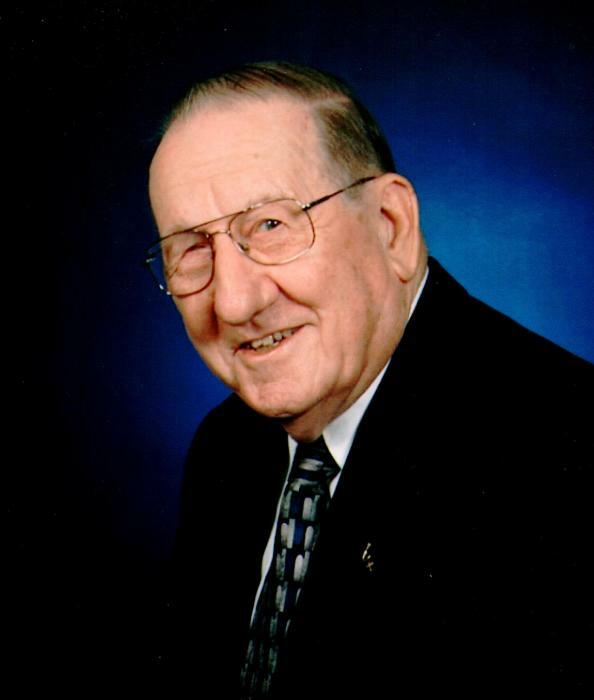 Obituary for William "Bill" R. Drummond | Hartzler-Gutermuth-Inman Funeral Home Inc.
William R. “Bill” Drummond, 88, of Elkhart, went to be with the Lord on Sunday, November 25, 2018 at Hubbard Hill Estates. Bill was born to the late James B. and Marjorie (Artley) Drummond on December 3, 1929 in Goshen. Also preceding him in death is a brother, James B. Drummond. He married Dorothy Biller in 1950 and they later divorced. Bill then married the former Phyllis J. (Beery) Clingerman on June 20, 1964 in Goshen. Phyllis died March 29, 2016. He is survived by son Stephen R. (Cindy) Clingerman, Palatine, IL, daughters Victoria S. Drummond, Delaware, OH, Diana L. (R.J.) Davis, Cincinnati, OH and Janet K. (Ku Chuan) Hsiao, Tyngsboro, MA, sister-in-law Rhonda Drummond, Goshen, 5 grandchildren and 4 great-grandchildren. After growing up on a farm on the North Side of Goshen and attending South Bend College of Commerce, Bill became an accountant. He worked for four decades in the field, most recently employed by Accra Pac in Elkhart. After his retirement in 1994, he remained very active in the Trinity United Methodist church and in various civic groups including the Juvenile Diabetes Foundation (JDF), the American Red Cross and the Service Corps of Retired Executives (SCORE). Bill served for many years on the board and as an officer of the Riverview Adult Day Center (RADC) and was acting President in 2016. In 2017, Bill received an award for being the longest serving member of SCORE. Bill was active at Trinity United Methodist Church in Lay speaking and the Emmaus Walk, handled the district books for a number of years, and served on several committees. Memorial services will be held on Friday, December 7, 2018 at Trinity United Methodist Church at 11:00 AM. Visitation will be held one hour prior to the service. Burial will be at West Goshen Cemetery. Hartzler-Gutermuth-Inman Funeral Home is in charge of arrangements. Memorial contributions may be sent to Trinity United Methodist Church, 2715 E. Jackson Blvd. Elkhart, IN 46516 or Hubbard Hill Estates, 20870 CR 24, Elkhart, IN 46517.